Trauma can play a significant role in substance abuse and addiction. By addressing your grief or loss in trauma therapy, you can begin the stages of healing. There are no types of trauma treatment that will heal you overnight. 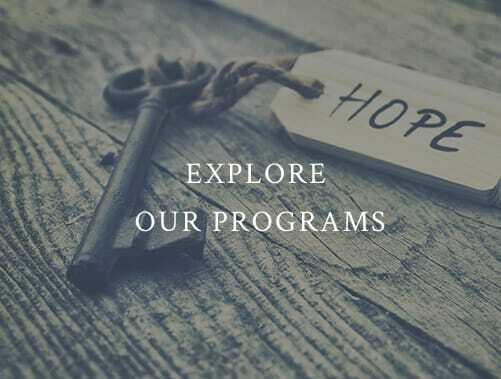 However, our therapy options at Red Oak Recovery® will lead to discovery and the ability to navigate through life without the need of drugs or alcohol. There are multiple trauma-focused therapies, such as cognitive behavioral therapy, that can open your mind to healing through preparation, encouragement, courage, and determination. Abusing substances has always been a way for people to cope with issues of grief, loss, and terrible experiences that have lasting effects. The goal of trauma therapy and grief counseling is to begin the healing process by acknowledging and identifying what emotions you have, where they came from, where you want to be, and how to reach that place of healing. Each treatment plan option focuses on education, support, and exercises. It’s important to select a group or therapy that is best in line with your healing journey. Cognitive Behavioral Therapy (CBT) is an effective way of acknowledging your trauma and addressing the need for change. In this case, you will begin your journey by correcting negative thoughts while building on your skill set. This starts with learning how to manage anxiety, stress, and other common reactions to trauma. By making simple changes, such as learning breathing techniques, you can manage your anxiety and replace negative emotions with more positive and accurate thoughts. We also offer an anxiety treatment program to deal with extreme anxiety and addiction together. Your supporting cast plays a major role in overcoming trauma. Through group therapy, you will be able to work with your peers and therapists to gain coping skills through connection and education. Group therapy should always go hand-in-hand with your individual therapy to create the most effective treatment possible. Furthermore, specific groups will give you different ways to grow and heal. Trauma treatment at Red Oak Recovery® uses proven and life-changing methods to give you the results you want and need. Successfully overcome your trauma and develop skills that last a lifetime. At Red Oak Recovery®, we are redefining the clinical experience. Regain control of your life at one of our beautiful Leicester, North Carolina locations, which you can see for yourself by viewing our photo video tour. Call us today at 866-457-7590 for more information on Trauma Therapy and admissions help.